Presenting the most complete encyclopedia of acoustic drum kits ever collected into one product: Studio Kit Builder brings you 130 drum kit pieces and more than 50 prebuilt drum kits. 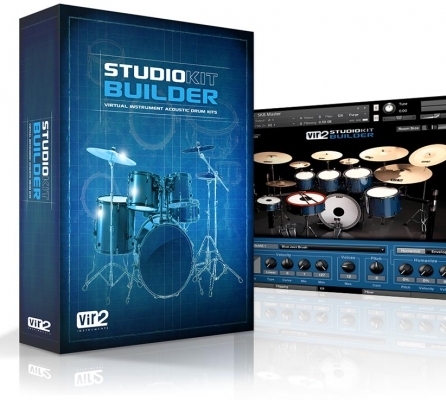 Studio Kit Builder supplies you with ten times the quantity of many other drum virtual instruments on the market. Create your own perfect drum kit from highly detailed top-of-the-line kit pieces. 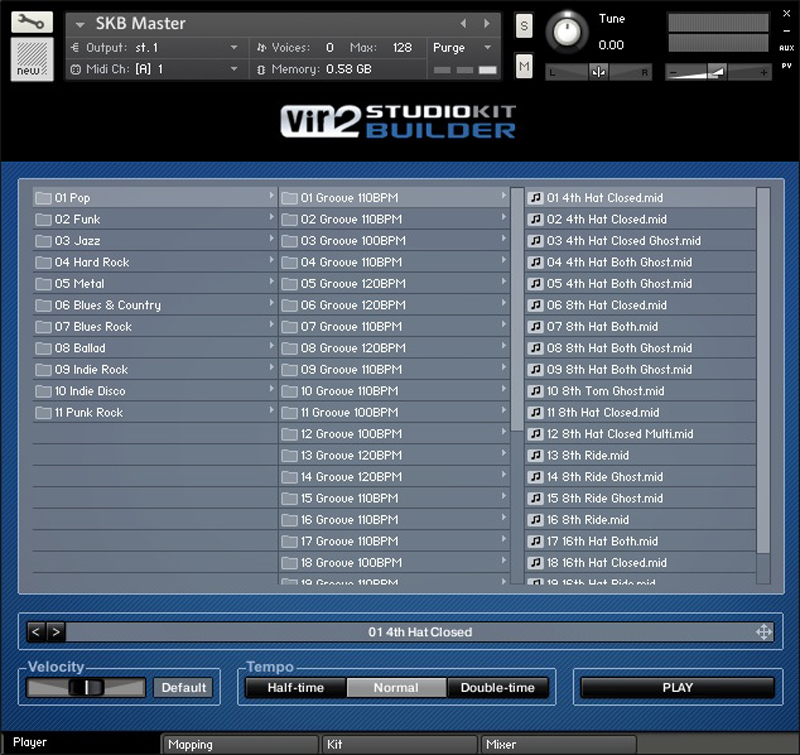 Whether you’re working on a sultry brush groove or a heavy-hitting metal track, Studio Kit Builder is able to cover a wide variety of genres and stylistic needs. 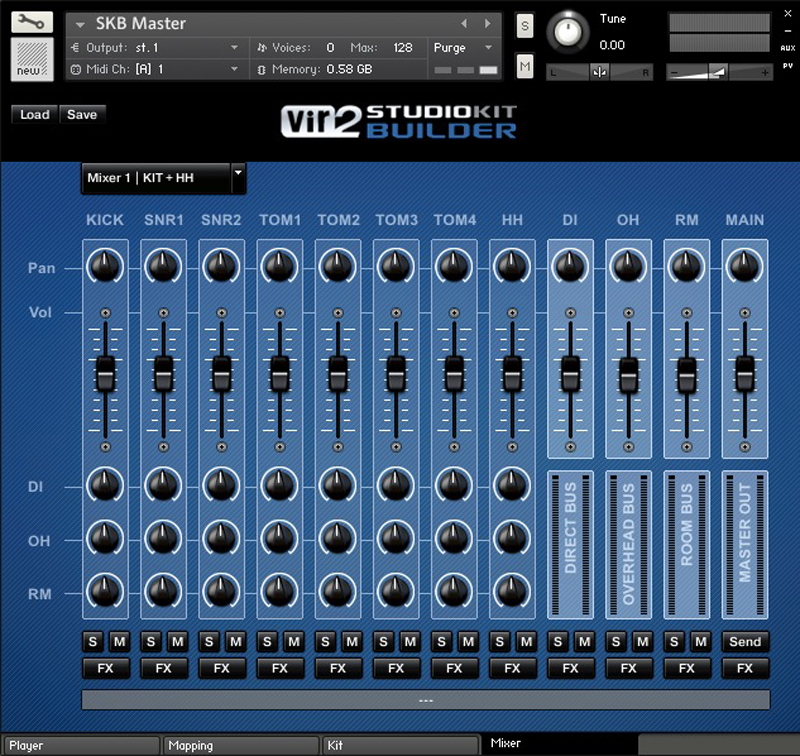 It offers full control over multiple mic positions and multi-track mixing of the kit. It’s simple to create pristine and beautiful professional studio quality drum parts from its built-in MIDI grooves. 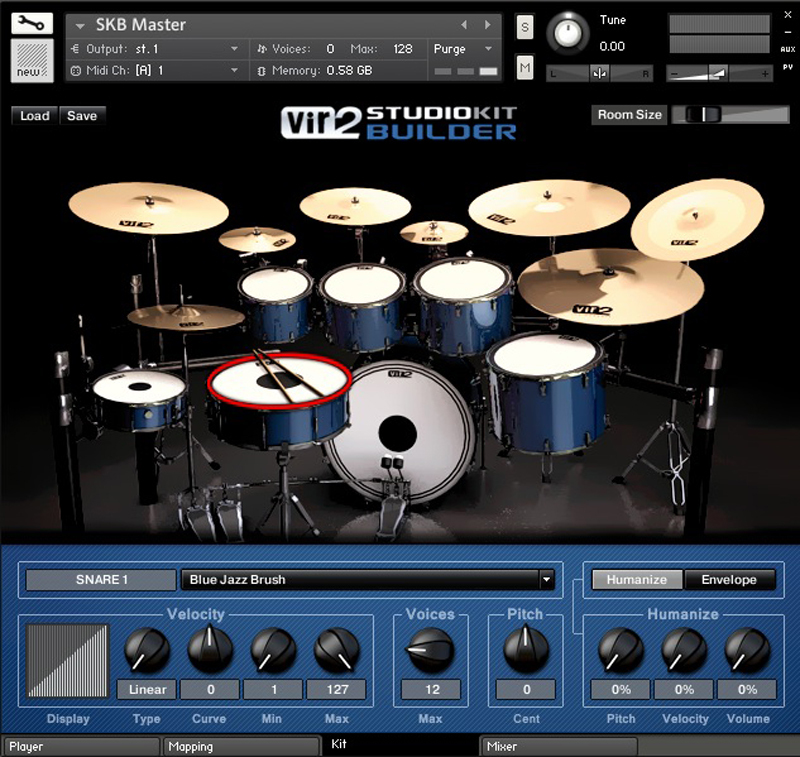 Employing breakthrough techniques for realism and dynamic playing, Studio Kit Builder sets a new standard for what is expected of modern drum virtual instruments. 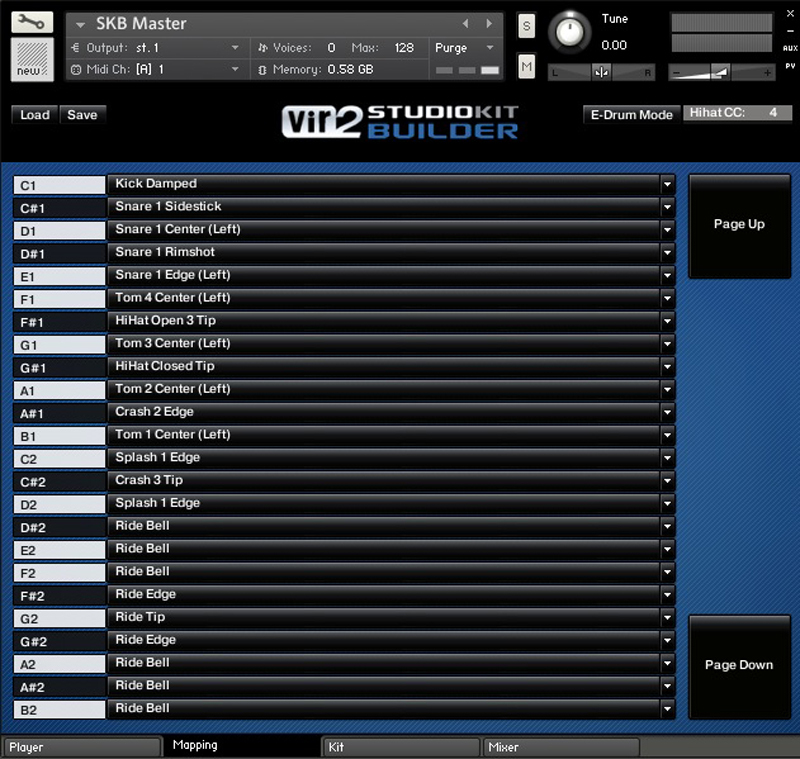 The Studio Kit Builder interface is very easy to navigate. There are four main pages; the Kit, Mixer, Mapping, and Player. This is the default screen when a patch is first loaded. Clicking on the any of the drumheads or cymbal tops will open the edit box for that kit piece. The Kit page is where you can construct a custom drum kit. The Mixer in Studio Kit Builder gives you complete control over each kit piece. The easy to use, familiar controls make it easy to quickly tailor the sound of your kit to fit any musical situation. The Mapping page allows you to re-map any articulation to any key. Simply click on the drop-down menu to the right of any key to reveal a list of all articulations for each kit piece. The Player contains a large collection of MIDI files in many different styles, which can be dragged directly onto a MIDI track in your host DAW for quickly building a drum track.